Today's SRC post is from Jane over at The Heritage Cook. Jane has an impressive background that includes contributing recipes to Food Network, so I was pretty certain that whatever recipe I chose would be amazing! She was also recently diagnosed with a gluten intolerance, so most of her recipes are gluten-free, which I love! I definitely recommend checking out her page. 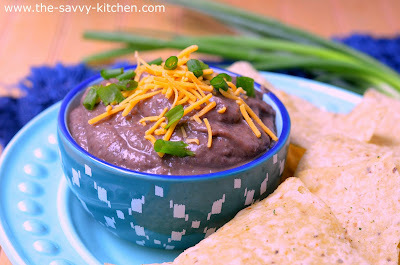 I chose to make a dip for this week's recipe reveal, but there are SO many other recipes I'll be back to make soon. I had an occasion coming up where I needed a delicious appetizer, and this recipe fit the bill. It was seriously the only way I could decide on one to make! It took no time at all to prepare and had so much flavor! This reminded me of a black bean hummus when it was chilled, so Bradley obviously loved it as well. This dip was excellent with some cheese sprinkled on top and paired with some lime chips. Enjoy! Place the beans, stock, scallions, cumin, garlic powder, onion powder, cilantro, and chipotle in the bowl of a food processor fitted with the chopping blade or in a blender. Puree until smooth. Taste and add lime juice, salt and pepper, and additional chipotle as desired. This may be made up to 3 days ahead and kept in an airtight container in the refrigerator. Place plastic wrap directly on the surface of the dip to protect the surface from drying out. 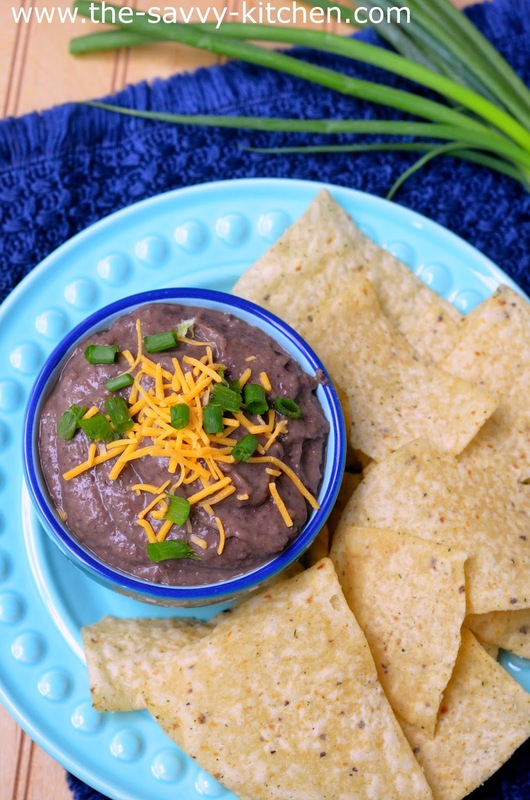 Bring to room temperature or reheat slightly in a microwave to take the chill off the dip. Sprinkle the top with cheese and bell pepper pieces. Garnish with a sprig of cilantro. If you would rather serve this hot, place dip in an ovenproof dish, top with shredded cheese. Place in a 350 degree F oven for 10 to 15 minutes or until the cheese is melted and the dip is warmed. Sprinkle minced bell pepper over the top for color. Garnish with a scallions. Serve with tortilla chips, salsa, and guacamole if desired. I love a good dip! This sounds great! 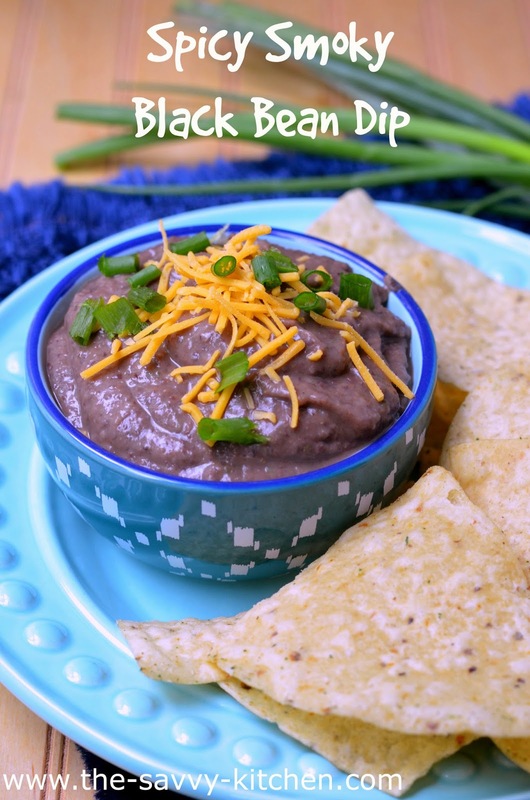 i love a good black bean dip! this looks delicious.